Find My Past keeps getting better and better with its Canadian content and features. They are listening to what we want. Last week it added 'Canada' to its list of categories by country. You will now see 'United States & Canada' under the 'World Records' drop down menu. I just found out today, Find My Past has now added a new function for searching Canadian records. 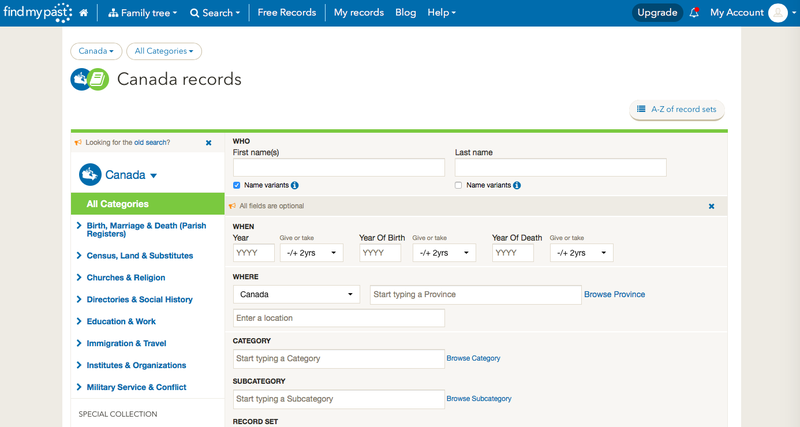 You can now search by province, making it even easier for you to search their records for your Canadian ancestors.